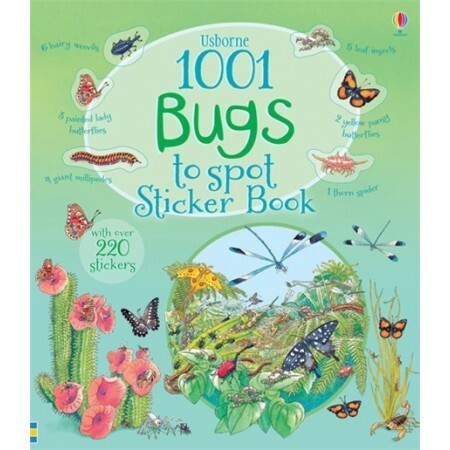 A colourful sticker book full of beetles scurrying across desert dunes, butterflies flitting through the jungle, caterpillars munching on cabbage leaves and many more bugs and minibeasts. 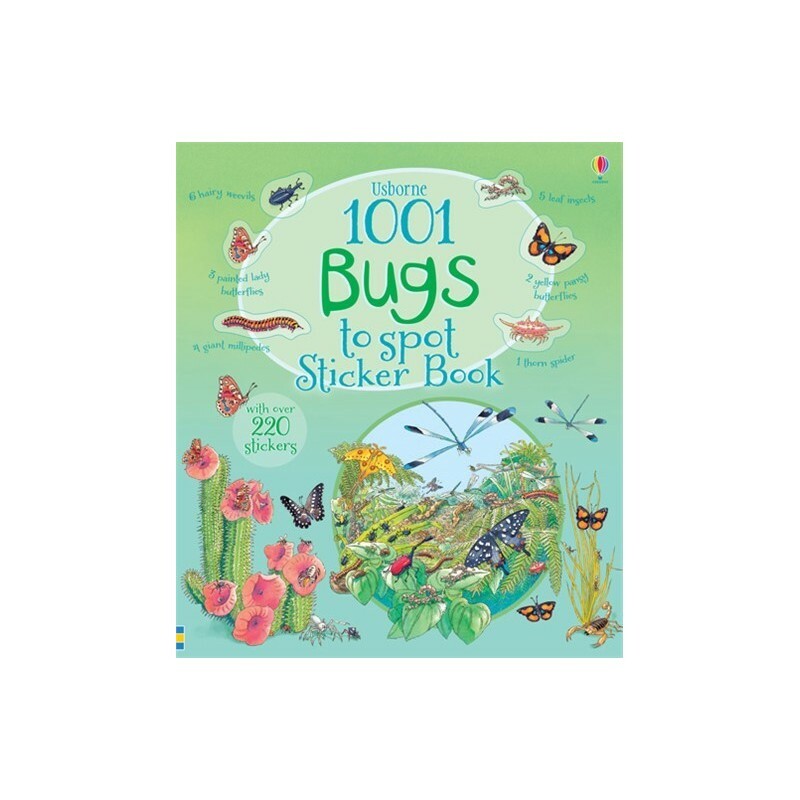 With over a thousand bugs to find, count and talk about – all of which improve skills in reading, counting and identification. Find an exciting and interesting selection of bugs hiding in 14 differint landscapes. From the rocky desert to the garden shed, in the grassy meadow or inside the butterfly house - discover all the weird and wonderful bugs waiting to be found! Written by Emma Helbrough. Illustrated by Teri Gower in collaboration with Natural history consultants Dr. Margaret Rostron and Dr. John Rostron. Softcover. Beautiful colour illustrations. 32 pages. 6 pages of stickers. 25cm x 21.5cm. Another awesome Usbourne book! This book is a great starting point if you want to introduce your tiny tots to all the small creatures that make up part of an ecosystem. The 'finding the bugs' part of the book is great fun, but the thing I like best is having a starting point to start talking about different types of ecosystems in a way that young children might understand.